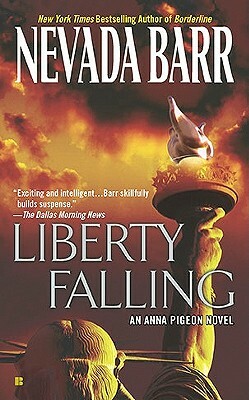 Anna Pigeon is in Manhattan to look after her hospitalized sister, and explores the Statue of Liberty in her spare time. But when a teenage girl falls to her death from Liberty's ledge, Anna wonders if the suicide was actually a homicide-and begins an investigation that puts her in the line of fire. Formerly an actress and a park ranger, Nevada Barr is now an award-winning and New York Times–bestselling novelist and creator of the Anna Pigeon mysteries, and numerous other books and short stories. She lives in New Orleans with her husband and various pets.